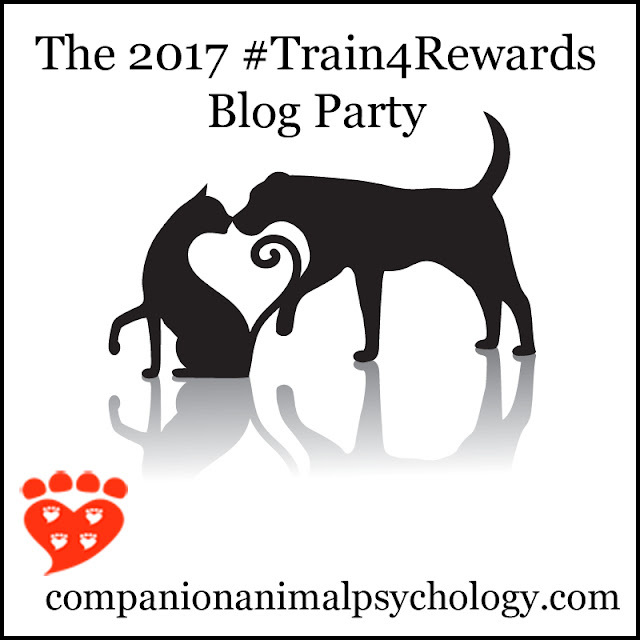 In a newsletter, readers were asked to contribute their post on reward-based training. In mine, I want to highlight two points. The first one is about the camera-function a reward-based approach includes, the second one is about what it tells us. A reward-based approach is like a snapshot we take of good situations. If we start using positive reinforcement, we also start to spot the good. If you want to reinforce something, you need to retrain and reframe your eye to see what is good. For this, you also need to know what you want. This leads to you learning to know how things shall be, and spotting when they occur. This has a great deal of impact on you, and your dog. It reframes your mind, and once you start to see things from a new point of view, you just cannot overlook it no more - it sticks. You will be immmersed in the positive, and the negative becomes less, which makes you more satisfied than you are spotting all the negative things only, which also counts for the pets, because the pet will receive more positive feedback than negative ones. This makes you and your dog more relaxed and more comfortable, which is part of positive psychology - ie creating a positive environment. Also, this empowers your dog - he learns how his behaviour exerts power on the situation, that he is part of the situation, which later helps him cope better. It also helps you get yourself organised, because you know what you want - you have got an idea of how things shall be. This structure helps to succeed gradually, which is reinforcing to you too. You will be empowered too. Using signals instead of commands strips you completely naked. It's a new experience to you putting yourself in this situation. It requires to find new pathes because the old ones are no longer available to you. You need to understand the subject and find motivations in order to steer your dog and give him incentives to behave in a manner you are comfortable with. Using commands doesn't require this - you needn't know your pet, just punishing is sufficient. Being in the situation having no power to apply force because you striped yourself of it, standing there and having to think about how to motivate your dog do the "proper" behaviour makes necessary to get to know the subject, to delve into its psyche. It's an exploration into your pet. Because reinforcers are anything that a subject is likely to display and a subject often displays (ie what it likes to display), according to David Premack (see here for an alternative coverage), those reinforcers are also expression of the biology and psychology of the subject. Thus the more you observe your pet and experiment with different kind of reinforcers, the more you begin to comprehend the biology and psychology of the pet. It also tells a lot about where we come from, and how the society is organised. If we look carefully, we see that we live in a society that has elaborated copious sophisticated ways of applaying punishment, ranging from jails, to losing job, or being taken away things. It's common to us that if we don't do like we are supposed to, we receive punishment, put in our room, taken away the toy, or anything.Those surrounding we come from is imprinted in us, like a background noise, in our habitual way of acting and evaluating - it shapes our pattern of perceiving, the way the world appears to us, if we, say, consider certain behaviours as "dominant" or "rude", or "nice", or certain edibles as "tasty" or "ugly" (yet how a proper sentence is to be put in order and written, ie grammar). Changing from commands to signals means changing our habbits and entering new pathes, leaving the old ones. It means to begin discovering new patterns, spotting the positives. It means emancipation. It means weaving new fabrics of elaborated appliance of reinforcers.
! But we have to be careful. Using incentives is also a way to apply control on somebody. It's as well a way of getting somebody addicted to you, having him or her on a mental leash that controls the entire life of the subject. Well known in psychotherapy, we have to find the proper distance-proximity relation. Using reward-based training is more than turning scientifically-based fundamentales into techniques and applying them on every day challenges. It's a way of self-exprience and self-exploration. It's barely possible to change between having your eyes out on good behaviours during training and being bully and punishing for the rest of time. Changing from commands to signals signifies to begin changing/reorganising yourself altogether. How difficult it is in every day life to react properly in a friendly manner 24 hours, 7 days a week. I learnt a lot about the pets I care for, can often tell their behaviour, can understand what motivates them, found different solutions to get their attention and motivation. I, as an example, experienced how different charachteristics of the carry-around things, such as the plushy bear or cow, or the rubber bone, exert various and unique feelings of the mouth in the Labrador and how it changes his behaviour - to give you an idea, hearing neighbour's dog bark leads to carrying plushy things such as the cow, which comfortes him, but not so a rather stiff rubber bone or ball. It's a way I'm still on, and I still find myself applying punishment, for example if I withdraw the dummy when the Labrdador goes to it without his signal - called negative punishment. Yes, it's possible to apply punishment by taking away something. Now let me finish this blog post on Why Reinforcer Based Training by some quotations by a pretty philosophical book that has so far inspired copious humen, le petit prince. On ne voit bien que le coeur. L'essentiel est invisible à les yeux. When the little prince comes across the fox, and the fox convinced the prince to tame him, the fox, at the depart of the prince, shares his insights with the prince. One of them is this: The important things are not visible. You have to sense, to feel them. Being curious of what motivates your pet makes necessary to get a feeling of your pet. If you're not capable of feeling the desires of your pet, you won't understand and know it. What you see is behaviour - you don't see feelings. But this is essential to motivate it in a fashion it follows without any fear of oncoming punishment. When the little prince visits the king on its planet, the prince wishes a sunset during day, because he likes them so much. The king then explaines to him, why it's not reasonable and possible. You can only expect those things they are capable to do. Might/power lies in reason at first place. The more you know about the biology and psychology of your pet, the more you know what it's capable of and what not, if it's reasonable and worth the time to build up, ie train, those skills, or not, and how you can facilitate your pet. You have to be reasonable in what you expect to be done. 1 This dog actually brought me to my limits. Often I had no idea what to do about it. Still I find I wasn't completely capable of supporting him like he needed and deserved it. He was that kind and never like an arse, but his demands were that high I just couldn't completely fulfill them. Meanwhile I've found a few solutios I didn't know back then. Hier könnt ihr Eure Meinung zu den Artikeln schreiben. Dieses Textfeld ist durch Robots auszufüllen! You make a good point about reward-based training being like a snapshot. As a former special education teacher, my instinct was to always find positives in what my students did. Even if they made the smallest accomplishment. Similarly, when our mindset is to reward correct behavior, then we're going to always be looking for opportunities to praise and treat.